Driving through the valleys outside Hofu in Yamaguchi Prefecture, Yasha Yukawa scours the surrounding rice paddies for the raw material he covets. He is constantly on the lookout for rice straw, but only the farmers that harvest the traditional way preserve it. 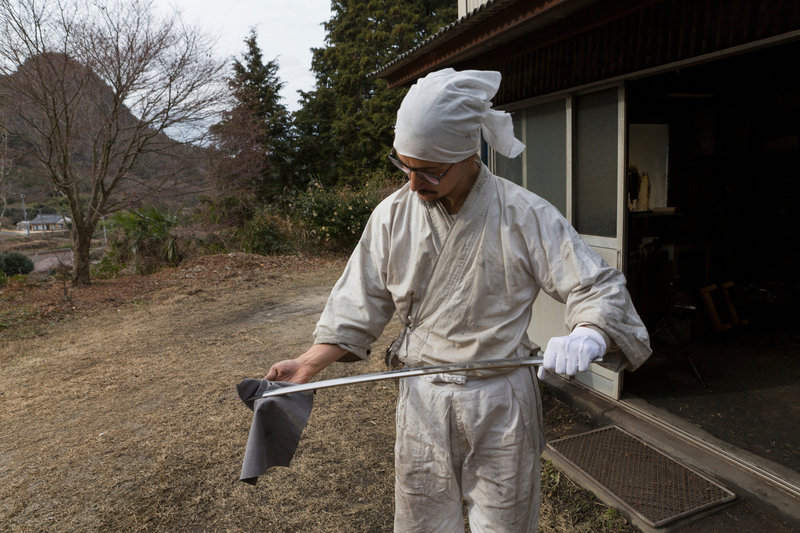 Yukawa requires a paddy field’s worth of rice straw a year to help make his swords. He burns the straw slowly, one bundle at a time, so that important qualities are not lost. 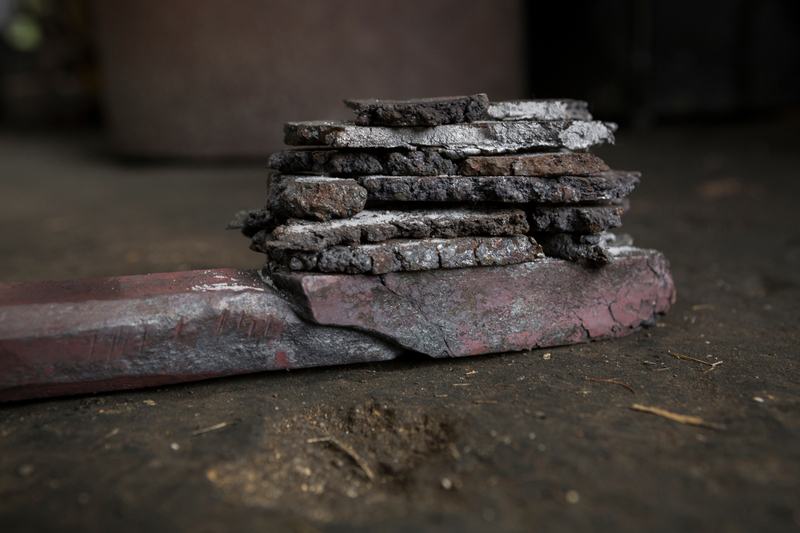 The straw ash and clay are used to form a protective layer around the steel while it is heated. The road narrows as it winds up toward the small mountain village where Yukawa’s forge can be found, surrounded by cherry blossom in the spring. From here he can hear the stream that runs through the forest, the source of the water he fetches to quench the steel. The forge is old and simple. Yukawa took it over when the previous swordsmith passed on a few years ago. The walls are made of corrugated metal, and out of the earthen floor the furnace rises like two mountain ranges divided by a gorge where the charcoal lies. 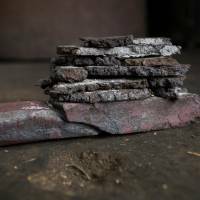 Just to learn to cut the red-pine charcoal by hand — in the right way and in the right sizes for the different steps in the sword-making process — is supposed to take three years. “I am pretty good at it now,” says Yukawa, the son of parents from Sweden and Japan, speaking in Swedish with a clear Stockholm accent. It has been nine years since he showed up on the doorstep of his master, Matsuba Kunimasa, to become his apprentice. Yukawa wasn’t wearing suitable work clothes and immediately received an earful. At that time he couldn’t even imagine how tough the path to becoming a licensed swordsmith in Japan would be. A couple of months before that, Yukawa woke up after a nap in his cabin in the Swedish countryside having dreamt of a katana sword. The picture of it was engraved in his mind, and he suddenly felt an overwhelming urge to become a swordsmith. Encouraged by his wife, he immediately called Kunimasa, the swordsmith Yukawa had met a decade before at the wedding of his father, a Japanese artist who had also run a karate dojo and a sword appreciation club in Stockholm. Yukawa told Kunimasa over the phone that he wanted to take up the trade. “It’s impossible,” the master claimed, but he asked him to send an email anyway. Yukawa, 37 years old at that time, didn’t have the internet at home, so he went to the public library in a nearby town to email Kunimasa. The veteran swordsmith accepted the younger man’s request to become his apprentice, but he strongly discouraged Yukawa from going through with it, saying it would take him 15 years to learn the ropes and that even then, he would never pass the swordsmith licensing test. In a matter of weeks, Yukawa and his girlfriend sold everything they had in Sweden and moved to Kunimasa’s village in Miyazaki Prefecture. Up to this moment he had mainly been an artist working in paint, and during a long period in the 1980s and 1990s he had worked as a graffiti muralist in Tokyo. He had also toured around Sweden with a puppet theater and made music. The profits from selling all his analogue 1980s synths facilitated the move to Japan. After the scolding for not turning up properly attired, Yukawa started the shūgyō, the austere traditional training. In the initial months he was expected to learn just by attentively observing his master’s work, and then suddenly Yukawa was thrown into a variety of different tasks. If he asked a question, his master got angry and let him know in no uncertain terms that he would never become a swordsmith if he didn’t have the answers himself. After five hard years of unpaid apprenticeship, conducted over the course of seven years because Yukawa’s father fell ill and then passed away in Sweden, the apprentice was ready for the mandatory test he needed to pass in order to be allowed to forge swords in Japan. The first year Yukawa failed, like everybody else in his group. But he gave it another try. The exam stretched over eight long days. Five of Japan’s leading swordsmiths and representatives from the culture ministry closely followed all the steps in the process, taking notes and keeping a close eye on their watches to ensure the candidates kept to the tight time schedule to the second. Performing the difficult tasks under that pressure meant calling upon all Yukawa’s reservoirs of mental strength. The examiners critically scrutinized every detail of his work, but after they broke his completed sword in two and announced he had passed the test, their demeanor changed and they warmly congratulated him. 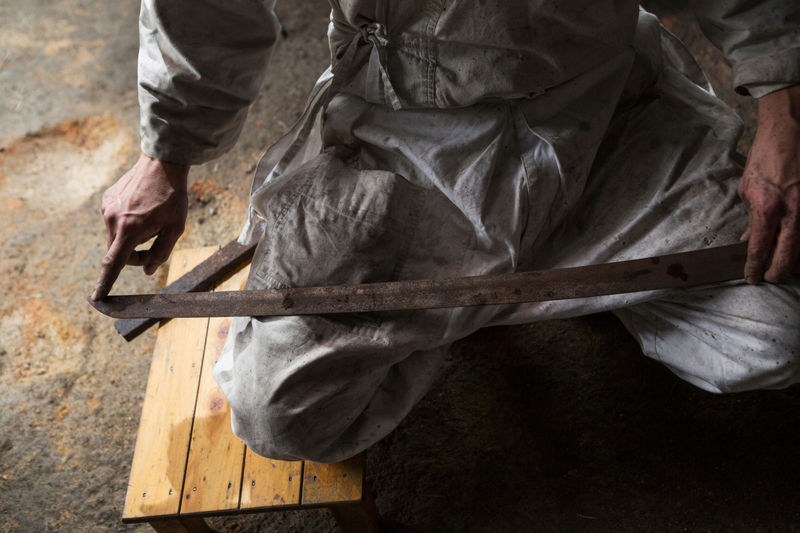 Yasha Yukawa was officially a traditional Japanese swordsmith, and, as far as he knows, the only one of foreign heritage. Kunimasa cried when he received the news about his former apprentice over the phone. 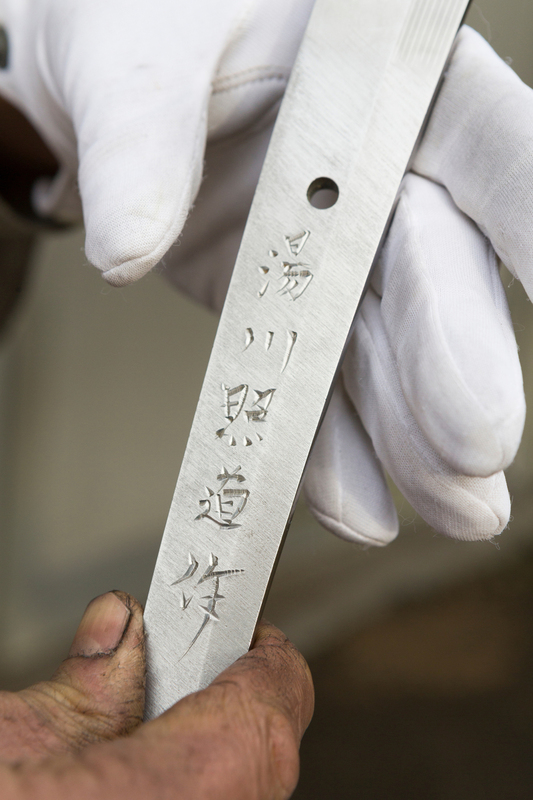 Since that day Yukawa has been able to freely ask him questions, and his former master helps him navigate the very strict governmental regulations surrounding sword-making — restrictions that date back to the American Occupation after World War II. 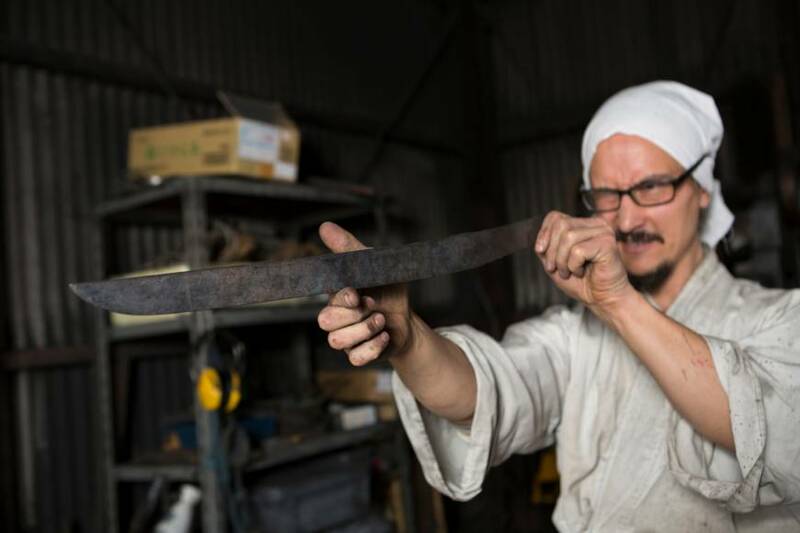 Now, the Swedish-Japanese can celebrate 46 years of life as Yasha Yukawa and a two-year professional life as an independent swordsmith by the name of Kagami Yashamaro. 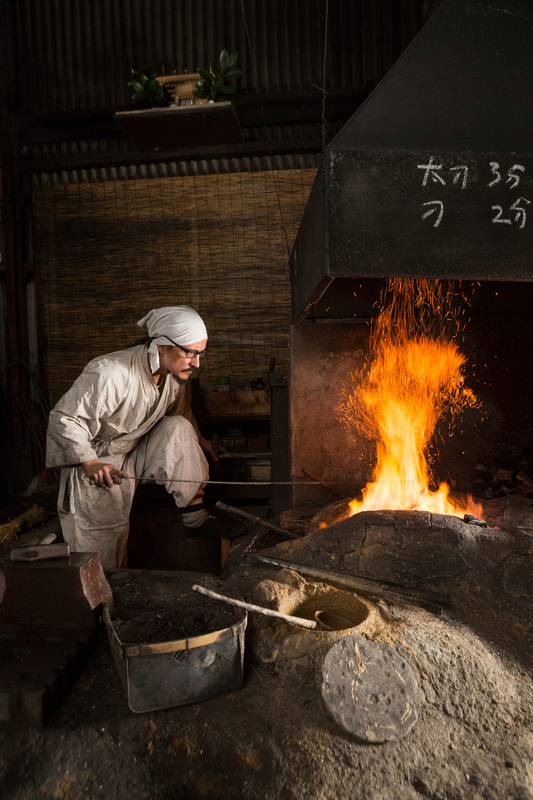 But Yukawa says he doesn’t keep track of time; he loses all sense of it in the forge, where he continues the work refined by swordsmiths over the course of thousands of years. Yukawa lights the charcoal in the furnace and waits until the color tells him that the temperature is right. Out of glistening lumps of tamahagane steel, exclusively produced for Japanese swordsmiths, he has forged thin plates of steel that he breaks into pieces. 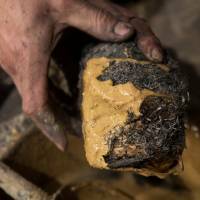 He stacks the fragments like a multilayered puzzle, wraps the whole lot in paper and covers it in straw ash and clay slurry before leaving it under the glowing charcoal. 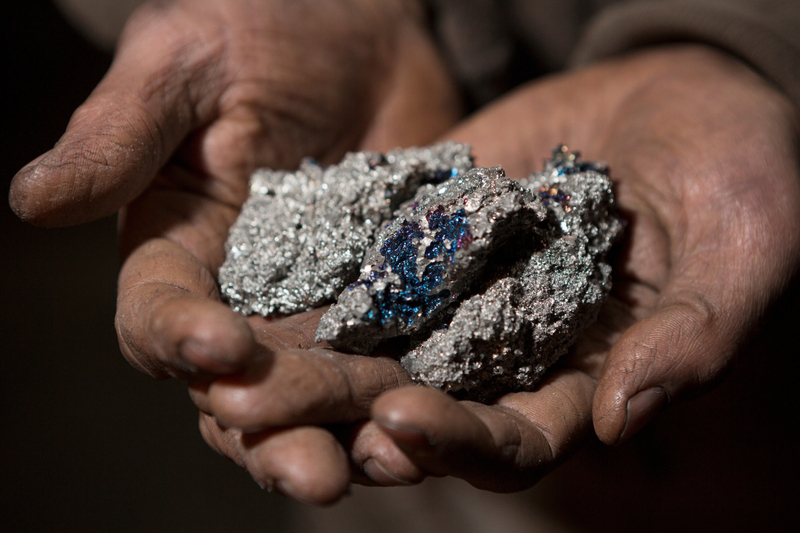 “It is almost like weaving in steel, because I combine pieces with different qualities,” Yukawa explains. He is standing in a hole in the ground in the forge, from which he can reach all the tools and workspaces he needs. 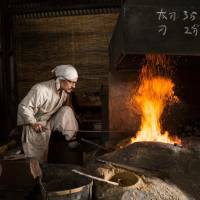 With a rocking motion he pushes the Japanese-style bellows back and forth; his gaze is fixed on the flames as he listens for the sound of boiling steel. Suddenly he intensifies the huffing and puffing of the bellows. He uses his free hand to turn on the power hammer. 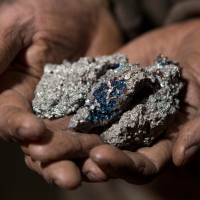 It is the only semi-modern tool that is considered not to affect the quality of the steel, provided it is used instead of a sledgehammer only in the early stages of the process. The dai, the end of the bar that his puzzle of steel pieces is balanced upon, looks like one big chunk of glowing steel when he puts it under the hammer to unify the pieces. Then it is heated again, and using a chisel he beats a deep cut in the steel and doubles it back over itself with the force of his hammer blows. 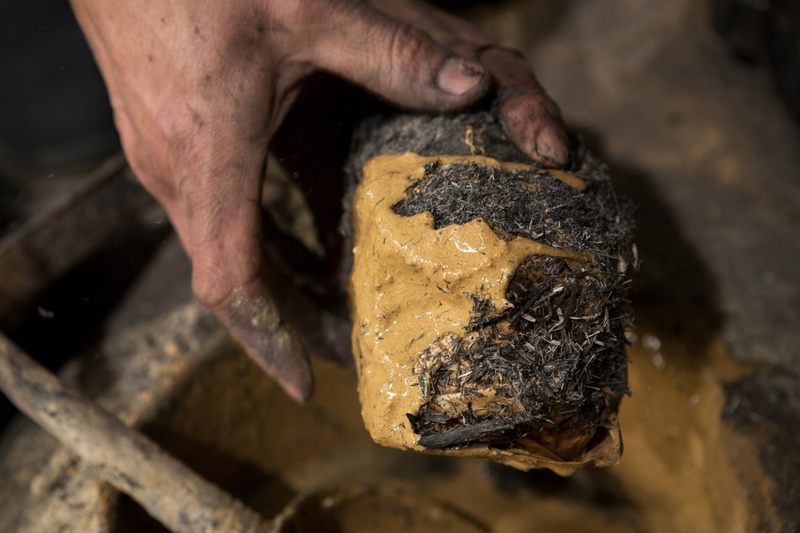 He does this over and over again, until the steel has been folded into thousands of layers. 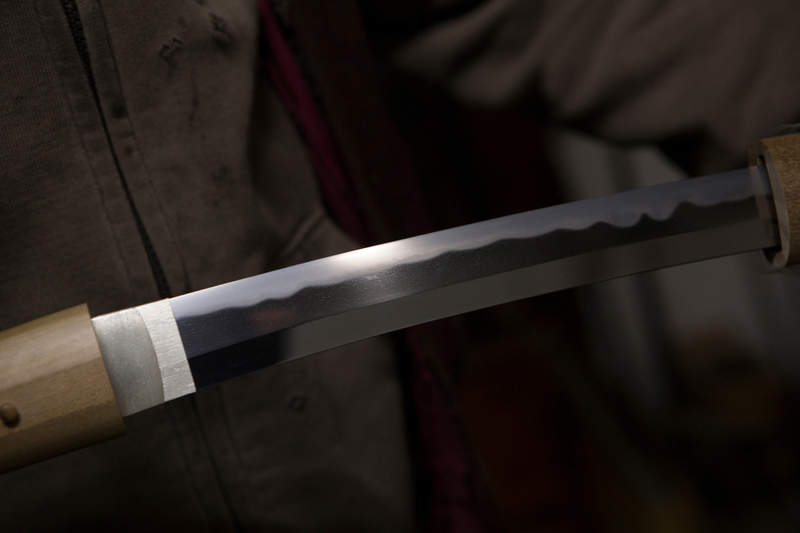 The first time Yukawa hardened his own sword, he came closer to comprehending why he had felt a great calling to become a swordsmith. “The glowing sword bucked when I quenched it in the water, and when I took it up it was as if a living essence had been born,” he says. His understanding of the sword’s meaning, and his own relationship to it, has deepened over the years.